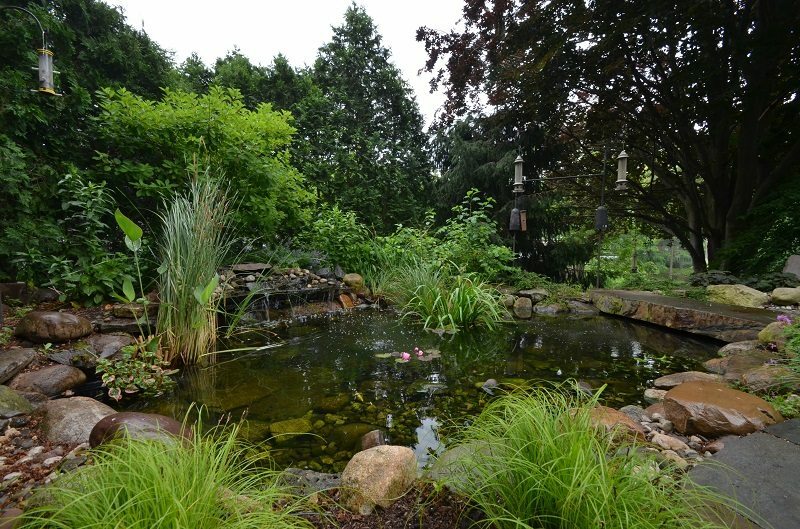 Building a pond in your backyard is a fantastic way to create an oasis. However, you don’t simply want a small body of water. 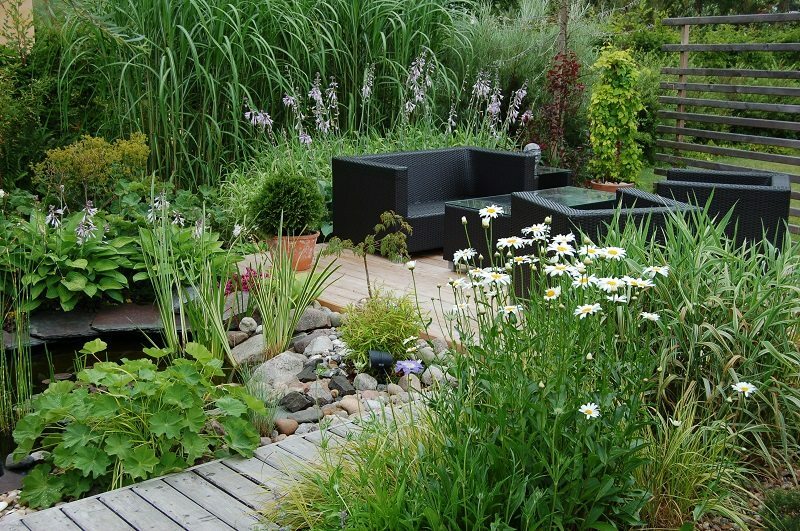 The desired effects of a pond come from the materials you incorporate into your design. Surround your yard’s most serene area with these top ten tips! A bubbling fountain or cascading water over rocks adds a sense of tranquility that you won’t be able to find with any other feature. 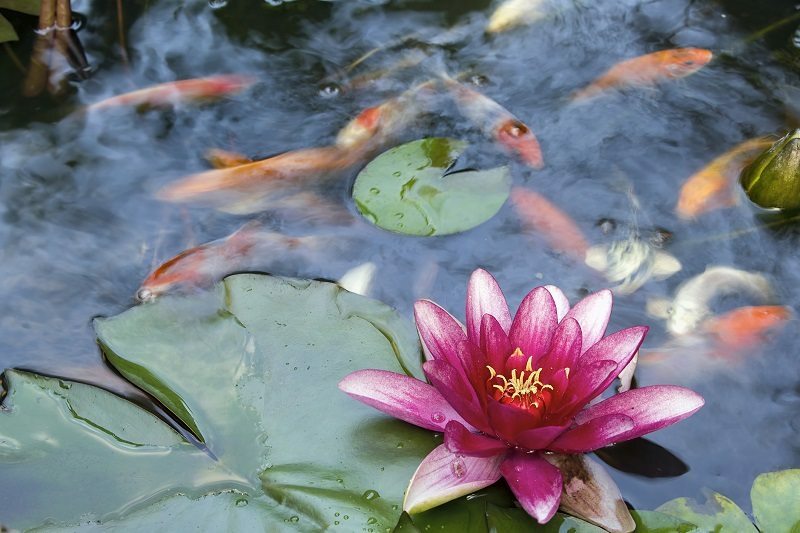 Adding fish to your pond create a fun and intriguing dynamic. Use coy, goldfish, or plenty of other varieties of fish with the help of an expert. What’s the point of having a pond oasis if you can’t take a seat and enjoy it all? Add a bench, chairs, or design a retaining wall surrounding the area so you have a way of sitting down to unwind. There’s a lot to see with a pond, and at night, you need lighting. Colored lighting can illuminate your space and add a special detail to your water feature. Make your pond the focal point of your backyard with a walking path. Let your hardscaping lead the way to your favorite place to sit and relax. 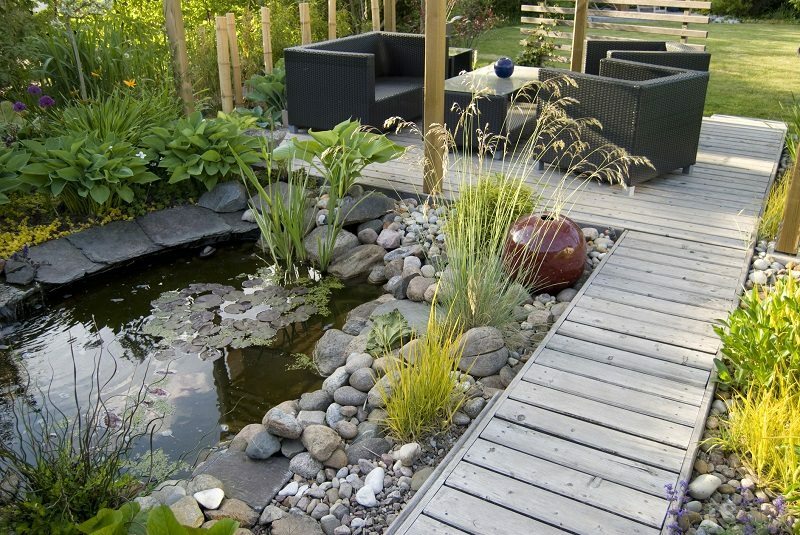 Larger ponds can incorporate unique aspects to your landscape like a bridge. This adds a more dimensional look to the outdoor space and ties it all together. Bring your favorite music to your outdoor escape! Outdoor speakers are a terrific way to add ambience with sound. 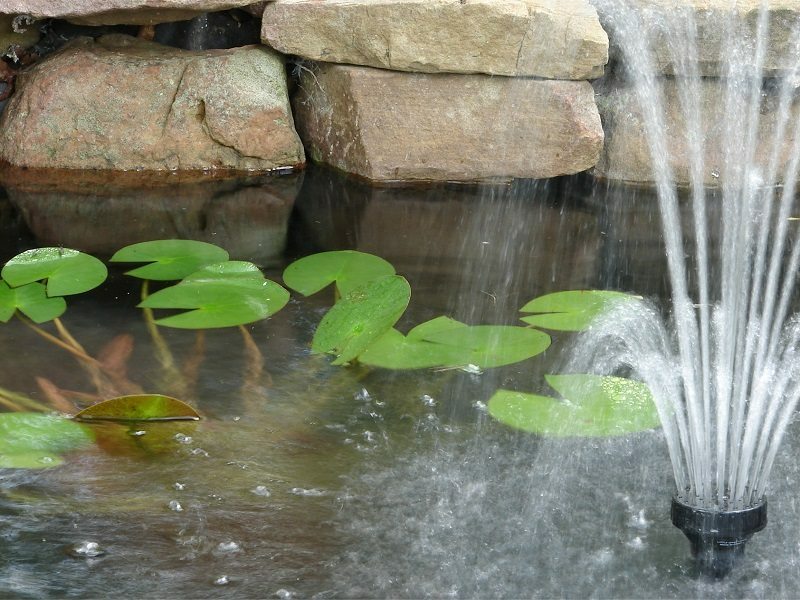 Create a theme for your pond with various decorations. You might want to add an aquarium feature or opt for glass globe floating pond lights. Whatever you choose, add some whimsy. 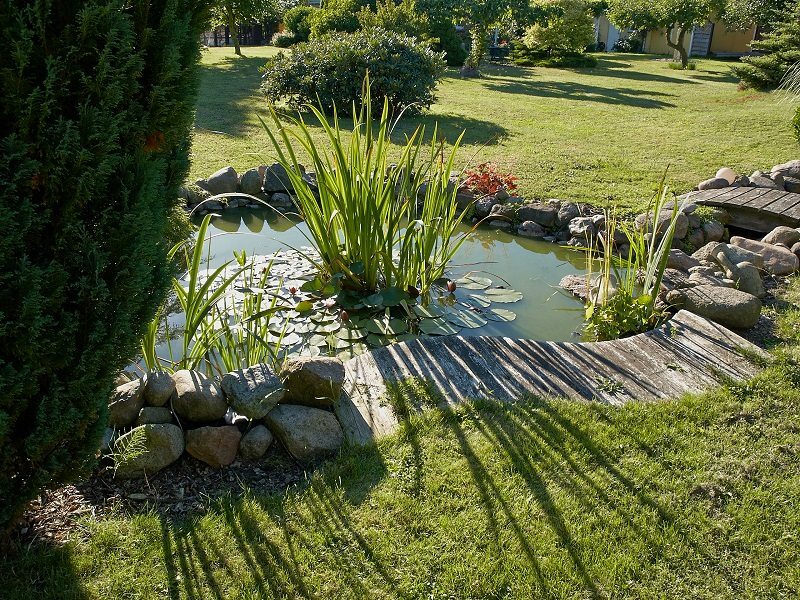 It might be hard to come up with ideas to create an oasis with your pond. Use Pinterest to gain some inspiration to make the space your own. In the end, have fun with your pond water feature and choose a theme that suits your personality and the design of your home. Michael B. Todé is President of Todé Landscape Contractors, Inc., located in Midland Park, New Jersey. Todé is a full-service landscape company that has been providing the highest quality of landscape services to homeowners and commercial properties in the North Jersey area for over 20 years. 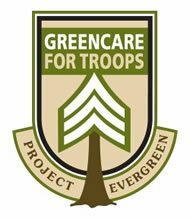 Mike holds a BS degree from West Virginia University, an AAS degree in Horticulture from Bergen Community College, and is a Certified Landscape Technician. Mike’s passion for landscaping and horticulture comes through in all of his designs and work as he strives to take a client’s ideas and create a landscape design that is executed with superior craftsmanship and ingenuity.